​If making Connecticut a great place to bike and walk matters, we can't keep it a secret! It all comes down to making our voices heard, whether at the local, state or federal government level. Federal, state and local government policies and programs affect our choices and how we live on a day-to day basis -- such as whether active transportation options like walking and cycling are safe, attractive choices, or not. Bike Walk Connecticut focuses on getting good active transportation laws, policies and funding at the state goverment level. Bike Walk Connecticut’s advocacy plan is about active involvement in efforts to improve Connecticut’s bicycle and pedestrian culture, so that our state is a safe, attractive and feasible place to bike and walk. This plan includes (1) advocating for passing new laws and revising existing statutes; plus a non-legislative advocacy component comprised of (2) informing and educating the public about CT’s bike/ped laws and (3) calling for implementation and enforcement of the laws. All three segments of advocacy are represented here in Bike Walk Connecticut’s 2019 advocacy priorities. A) Amend crosswalk legislation to its pre-2007 statutory language to require motorists to stop for people ‘at’ a crosswalk instead of ‘in’ a crosswalk. B) Make dooring a bicyclist or pedestrian illegal. Adopt a law to provide a fine for motorists who open the door of a motor vehicle when it is not reasonably safe to do so. Connecticut is only one of nine states without this type of law. C) Amend CT Recreational Statues regarding liability on premises to include railroad property, railroad rights-of-way and utility corridors to which public access is permitted. D) Research legislation that allows traffic enforcement cameras (in urban areas and school zones), providing warning signage to alert drivers as they approach area where the program is in use. 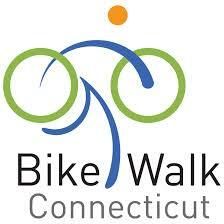 Pursue in collaboration with CT DOT, CT Bicycle and Pedestrian Advisory Board, communities, and local advocacy groups. E) Advocate for vigorous implementation of the Complete Streets law. Expand CT DOT’s Complete Streets policy at both state and municipal levels; provide access to Complete Streets resources for CT’s towns and municipalities. F) Support Vision Zero initiative. Set annual goals to reduce Connecticut’s bicycle and pedestrian traffic fatalities. Enable municipal control of town road speed limits (vs. control by Office of the State Traffic Administration - OSTA). G) Support dedicated state funding for bicycle and pedestrian projects and programs, especially those focused on safety, increasing access for bicycle networks, improving transportation mode options, and eliminating gaps. Recommend that funding be allocated with objective, strategic criteria based on factors such as congestion mitigation, connectivity, population density, economic impact and cost. H) Provide public outreach, education, awareness campaigns, brochures, and handouts. Work in collaboration with Watch For Me CT and local groups across the state, to promote safety for CT’s cyclists and pedestrians. I) Collaborate with CT DOT on bicycle/pedestrian projects and committees such as CT’s Active Transportation Plan, and Strategic Highway Safety Plan’s (SHSP) Non-motorized Emphasis Area (EA) team. J) Align with League of American Bicyclists at the National Bike Summit as the CT state coordinator to set up and attend Congressional meetings with legislators on Capital Hill on National Bike Lobby Day (Mar 12, 2019). Promote Bike Friendly America program in CT.
Current Connecticut crosswalk legislation requires motorists to yield to pedestrians “in” crosswalks. Prior to 2007, motorists in Connecticut were required to stop for people “at” crosswalks. BWCT believes it is very important to amend the crosswalk law to its pre-2007 statutory language. For this victory to have meaning, however, outreach and education will be critical. In January of 2016, the Bond Commission allocated $7 million to build, expand, or enhance recreational trails. Aft er the recent, protracted budget deliberations, funding for additional grants no longer exists (although a placeholder does). invested in a wide variety of recreational trail projects, including feasibility and design. Action: BWCT will work with CT Forest & Park Association, East Coast Greenway, Farmington Valley Trails Council, and others to restore bonding for the CT Recreational Trails Program. based on a decade of research, mirrors that of other states, and permits local regulation of e-bike use on trails. Action: BWCT will work with BPAB to advance e-bike legislation. BWCT is eager to support our partners on additional advocacy efforts. Topics may include coordinating on safety and education campaigns, speed limit policy changes, and Complete Streets advocacy, to name a few. Action: We will work on an issue-by-issue basis to evaluate opportunities to assist our partners. If you’d like to see the headline “ConnDOT Announces Goal to Triple Travel by Bicycling and Walking in Connecticut by 2020,” that’s what mode share goals are about. To really move the needle for biking and walking, Connecticut should adopt explicit annual statewide mode share goals for bicycling and walking as modes of active transportation, with targets for 2018, 2020, 2025, and 2030; establish a baseline by end 2016; and conduct annual household surveys thereafter. Massachusetts, California have set mode share goals. So has Portland, OR, which aims to “create the conditions to make bicycling more attractive than driving for trips of three miles or less.” Connecticut should adopt similar goals. Connecticut needs to do a better job of aligning relevant state policies, plans, programs—and especially their execution—with complete streets and active transportation goals and policies. Our plans for climate action, transit oriented development, public health, smart growth and Plans of Conservation and Development, greenways, and tourism all need to address active transportation--not as an after-thought, but as a significant part of the plan. Whenever transportation is an overlapping issue, bike ped advocates need to make sure that everybody is pulling in the same direction. Connecticut must fund bike ped projects based on sound, objective, strategic criteria that prioritizes projects based on such factors as congestion mitigation, connectivity, population density, crash patterns, economic impact, social equity, and cost. With Let’s Go CT! calling for $101 million in bike ped funding over five years, Connecticut is making progress on dedicating state funding to bike ped projects. As advocates, we want to see more examples of dedicated state funding for bike ped projects and programs, especially those focused on safety, and eliminating network gaps and increasing access for bicycle networks. Our complete streets law and state, regional and municipal policies are only as good as their implementation. As advocates, we need to hold state, regional and municipal governments accountable for implementing complete streets law and policy. Connecticut enacted a vulnerable user law in 2014 but to the best of our knowledge, has never enforced it. As advocates, we need to investigate obstacles to enforcing the law and remove them. We’d like to see Connecticut state government leading by example on active transportation through programs for state government. Possibilities include providing bicycle parking for employees and visitors at state offices, promoting bike commuting beyond Bike to Work Day, and having other agencies follow DEEP’s lead in becoming accredited Bike Friendly Businesses. In connection with our State Highway Safety Plan, Connecticut should set specific annual goals for reducing and eliminating cyclist and pedestrian traffic fatalities and crashes. Bike Walk Connecticut would like to see the state join the multi-national road traffic safety project known as Vision Zero. Vision Zero aims to end traffic deaths and injuries on our streets and roads. No level of fatality on our streets and roads is inevitable or acceptable. Our Share the Road campaign is our primary public education effort. While it clearly plays into reducing cyclist and pedestrian fatalities, our Share the Road campaign is not the same as advocating for the state to set goals for reducing fatalities. Monitoring Legislative Proposals: As always, Bike Walk Connecticut must also be on the look out for legislative proposals—good and bad—during the legislative session and respond accordingly. Getting the Vulnerable User Bill passed in 2014. We supported advance legislation to protect "vulnerable users" of the roadways each year since 2010. The bill was usually fairly well supported, but but was not brought to a vote in one chamber or another in several legislative sessions. We got the bill passed in 2014. Getting the 2009 Complete Streets legislation passed, along with legislation requiring a statewide Bicycle Pedestrian Advisory Board. Getting the 2008 3-Foot Safe Passing law passed, which requires drivers to provide a safe distance of at least 3 feet when overtaking a cyclist. While federal transportation funding programs have been in flux, we provided updates to our members and urge them to contact their elected officials. Additionally, we work at the state agency level with our Departments of Transportation, Energy & Environmental Protection, Public Health and Economic & Community Development to advance the interests of our growing ranks of cyclists and pedestrians.